Be sure to call your local hospital and see if they need these cuddly bears and dolls. When my 2 year old was run over, the hospital gave him a very simple rag doll to hold while he was in the hospital. He treasured it and still had it in his closet 20 years later. 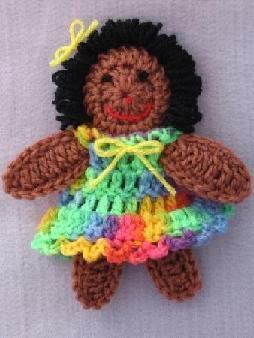 This page features many links to patterns to make fun toys and dolls for kids of all ages! Bev's Prayer Bear (K) floppy and cute and EASY enough for a beginner! BEV's Snuggly Dolly! 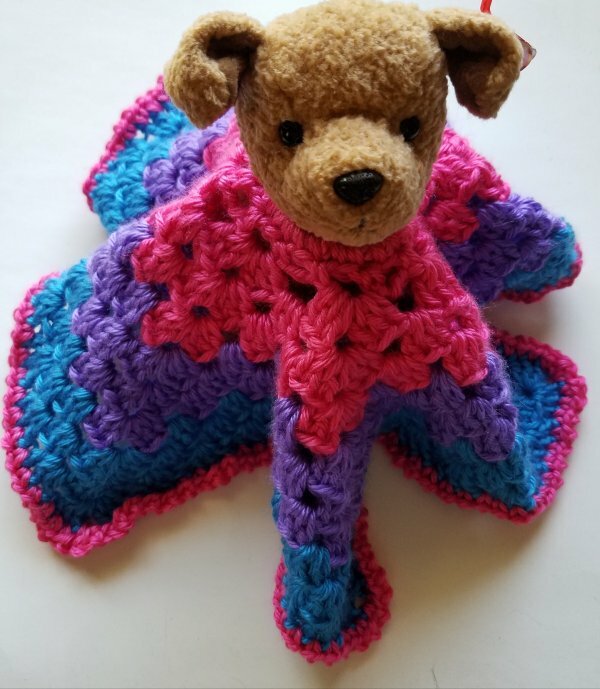 (C) special quick-crochet pattern to make for a children's hospital or shelter near you. Tiny Teddy Bear (C) Now on it's own page! Great to donate to Children's Hospitals. 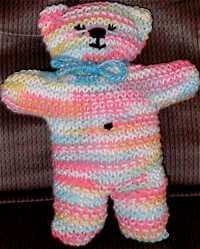 Caron Simply Soft Brites BEAR - (C) this is darling! 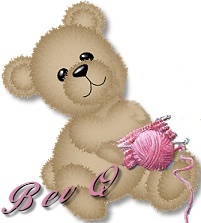 Mattel knitter bear (L) cute! Two-headed bear-(C) ok it's a bit weird but he's cute! Under the Sea (K) so adorable. Chicks in Shells -(C) absolutely adorable-- cute for Easter! Piggie (C) - he's adorable! Golly - old fashioned doll (K) we had these when we were little girls in England and we loved them so much. Nana's Knitted Doll - (K) very simple design and cute as a button! 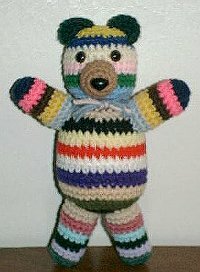 Spiral Man- (C) twisty and cute - can be made in many colors. I think he looks like Elmo or Grover.if made in those colors. Martie's Tub Buds ~ washcloth puppets! 18" dolls Clothes set (K) perfect for American Girl dolls and more! American Girl Doll Pioneer Set (C) - really cute!! Love it! Dora's warm autumn outfit - (C) hats, sweater, cap and pants! All content is copyrighted to original creators. You may print out pages for yourself, or for charity IF credit is given on each page to Bev's Country Cottage. Publishing this content on other websites, in emails, mailing lists, in any print media, OR the selling of these patterns, or items made from them, is FORBIDDEN! If you make something from a pattern COPYRIGHTED to Bev Qualheim... you may sell those items.! Direct linking to a pattern or recipe is allowed.